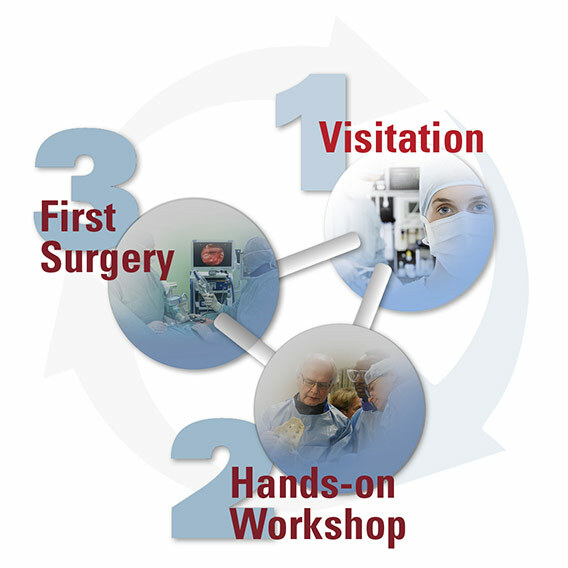 Prior to our workshop, interested surgeons are given the opportunity to gain their first live-experience with the surgical methods at one of our partner hospitals in Germany or other European countries. Visitation dates are arranged on demand following consultation with the respective reference center, then you will be provided with the necessary details by our distribution staff. Depending on availability, if desired, one of our specialists can coach and support you at the beginning of your surgical operations and can answer your questions. Get more information about our joimax® Education Program and the detailed dates.